The Flying in Circles Earring is just what it says it is. These dragonflies are literally “flying in circles”. 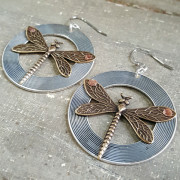 For the dragonfly enthusiast or just because they are beautiful, these earrings measure 2 1/4 inches in length. 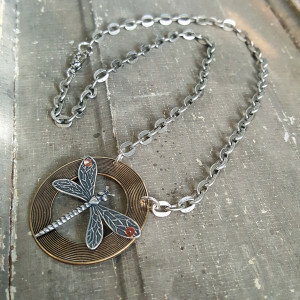 Choose either an Antique Brass or Antique Silver dragonfly. 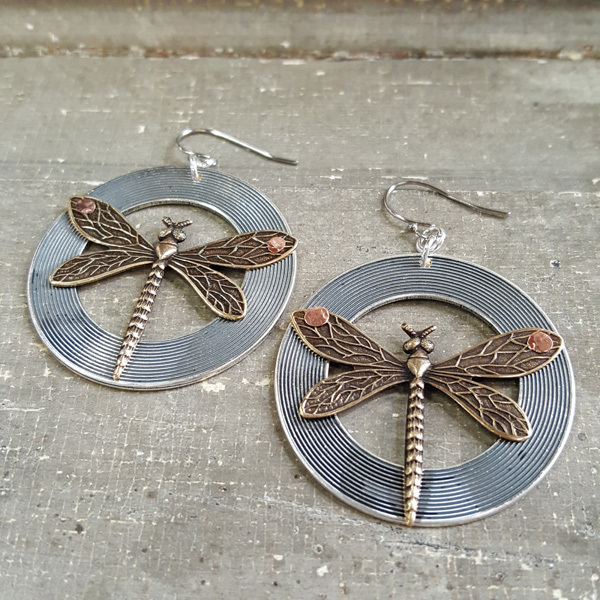 The Circle will be in the opposing color, as these earrings are mixed metal.